We’re coming to the end of the season, we have just three races left. So how many has each driver used out of the eight engines allocated? 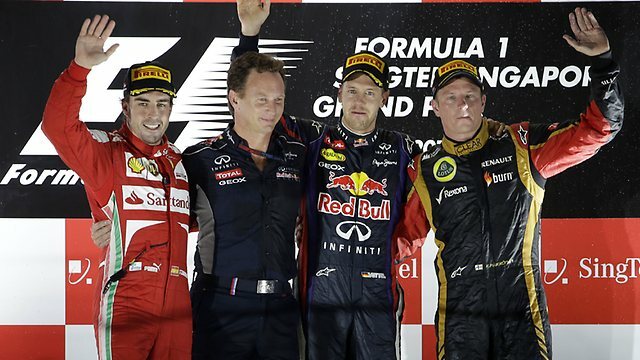 The Korean Grand Prix marked the first race in the final quarter of the 2012 Formula 1 season. It also brought the first penalty of the season for using a ninth engine, as all drivers have been allocated eight units for a single campaign since the start of 2010. At this point – with the races of India, Abu Dhabi, the United States and Brazil still to run – being on your eighth engine can still mean you are comfortable, as previous powerplants can be used. Still being on your seventh is an even more ideal scenario. Ferrari believe that they will have an advantage with engines across the remaining nine races of the 2012 F1 season. Heading to Belgium, Fernando Alonso is on his fourth unit of the season, whereas all of his closest rivals have already moved onto their fifth. Under the current rules, to ensure that development costs are kept to a minimum, each driver is permitted eight engines which can be used at any point over the course of an entire season. Should he have to use a ninth, a grid penalty will be applied. “Looking at the current situation, we have used four engines and it’s five for our main competitors,” Mattia Binotto, who works with engine and KERS development at Ferrari, said in Thursday’s press conference at Spa. “So that could be to our advantage by the end of the season. Once we get to Monza, that will become six for us and seven for the others. At the end of Friday’s first practice session in Belgium, Felipe Massa stopped with a smoking engine. The team soon confirmed to GPUpdate.net that this was an old unit.